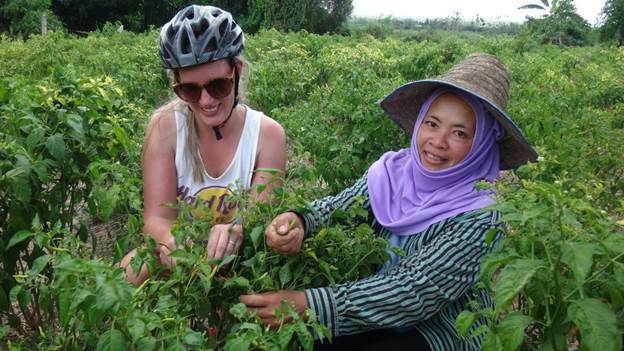 Cooling off we stop at a local produce markets and see what is on the menu. 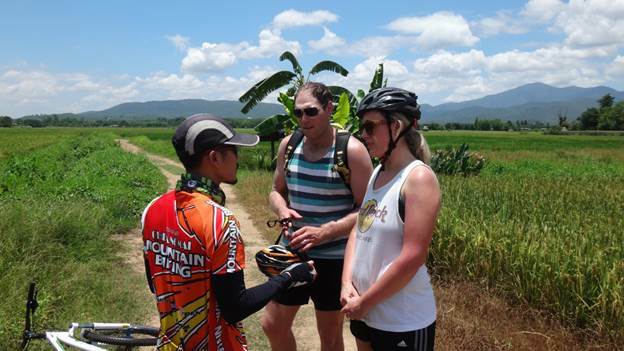 Relaxed we continue riding through the rural villages to the south of the Valley. 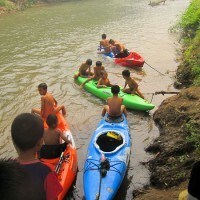 Splurging on local fruits and snacks we are now energized for the kayaking leg of our Adventure. 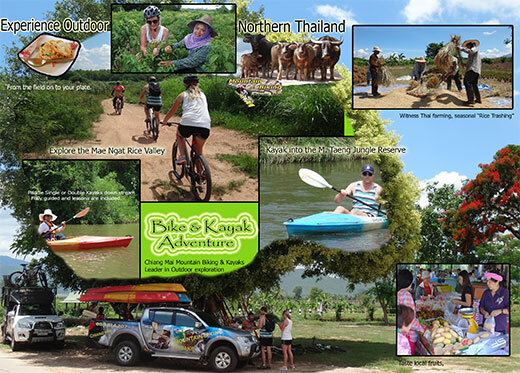 The ride left us with new impressions and we are now ready to change pace and leave civilization behind. 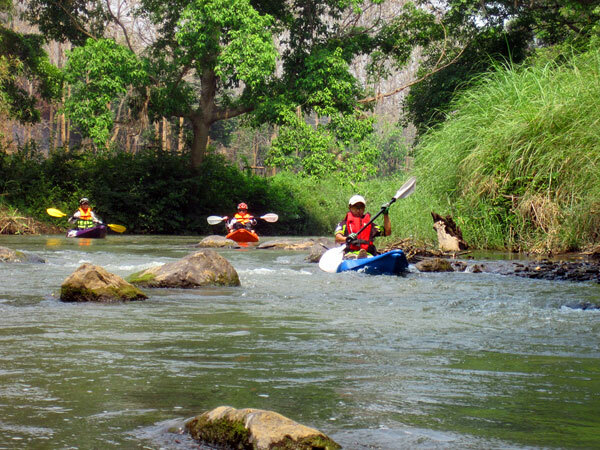 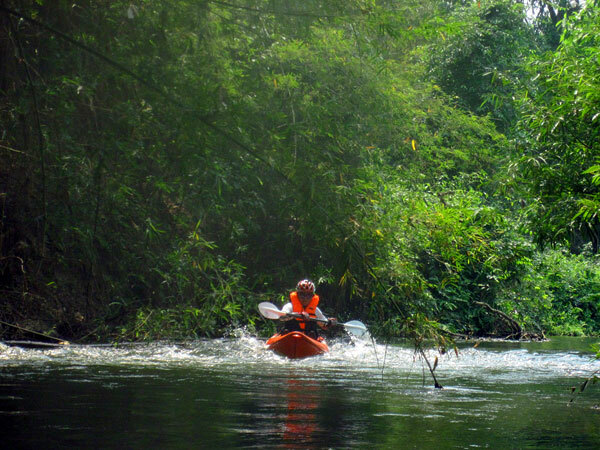 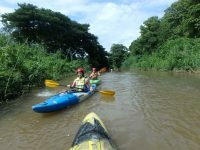 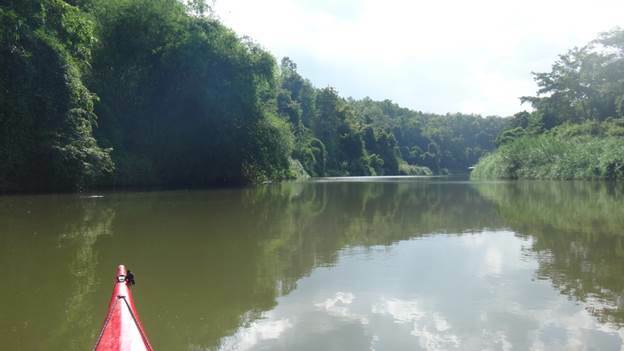 With help of the favorable current of the Mae Ping River we are now steering our kayaks into the Mae Taeng Jungle Reserve. 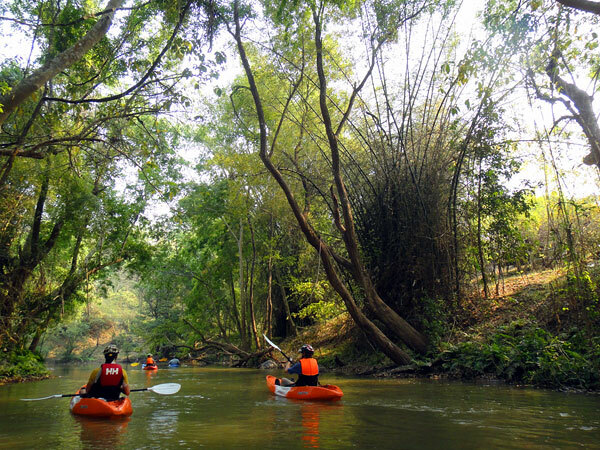 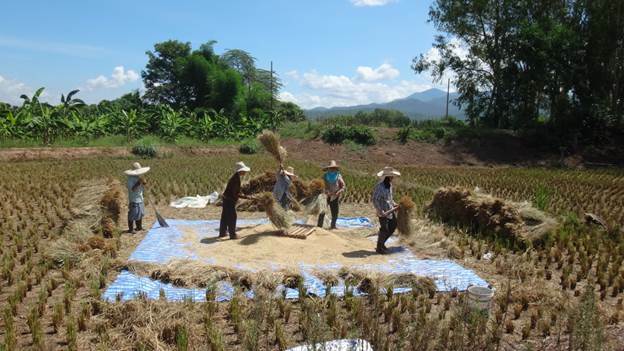 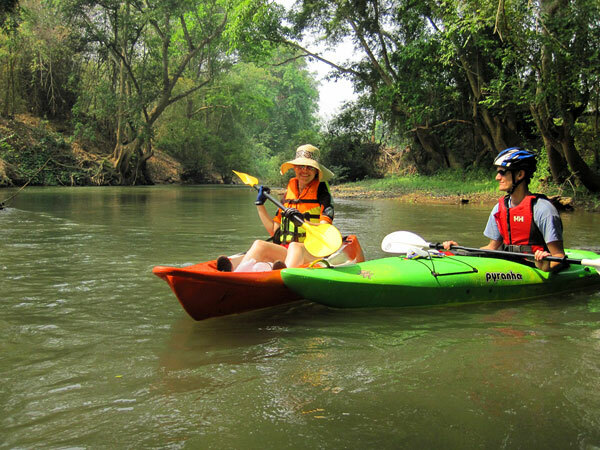 Only accessible by boat, as nature lovers, we find our peace here in this serene and quiet setting, As bird life accompany us through the Forest Reserve we reach the far south end of the Mae Ngat Valley, where we are usually greated by a kayaking monk, a friend. 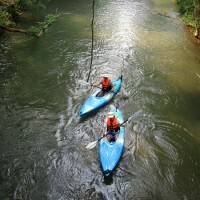 A cozy Restaurant in a plantation setting awaits us with a well deserved meal and a cold drink. 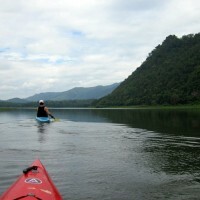 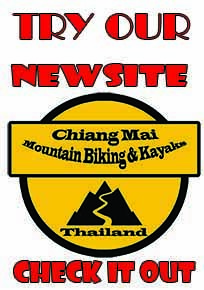 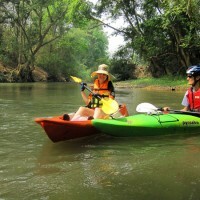 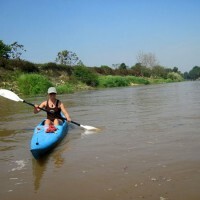 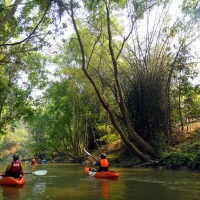 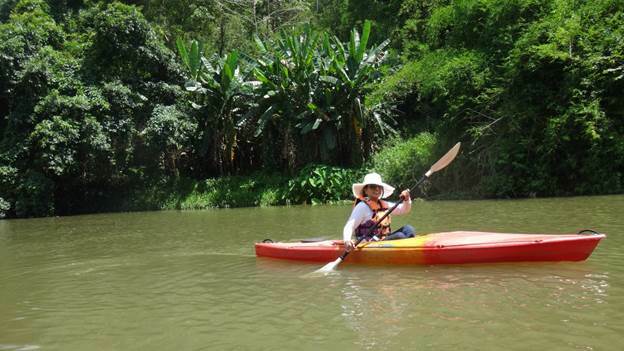 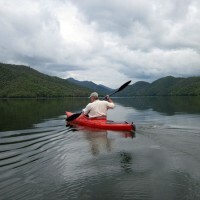 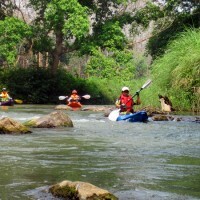 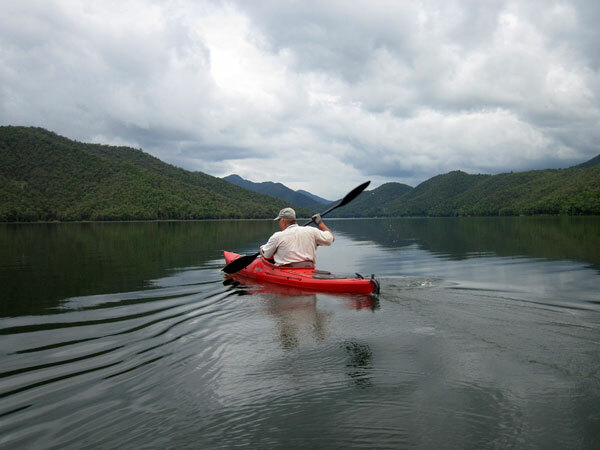 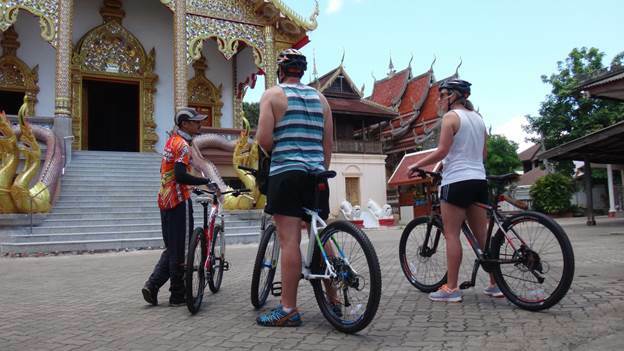 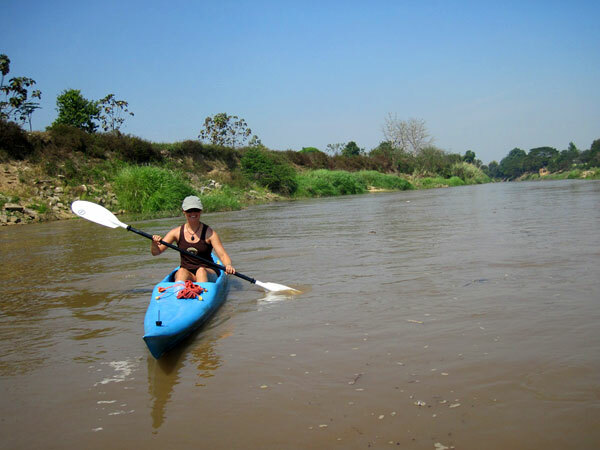 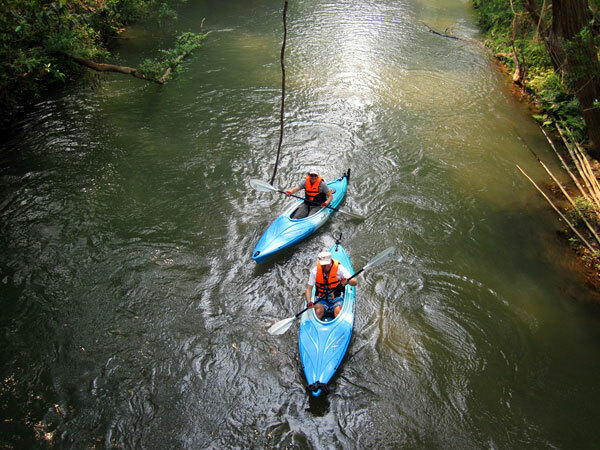 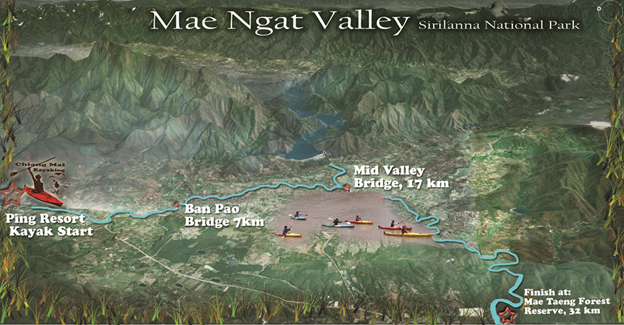 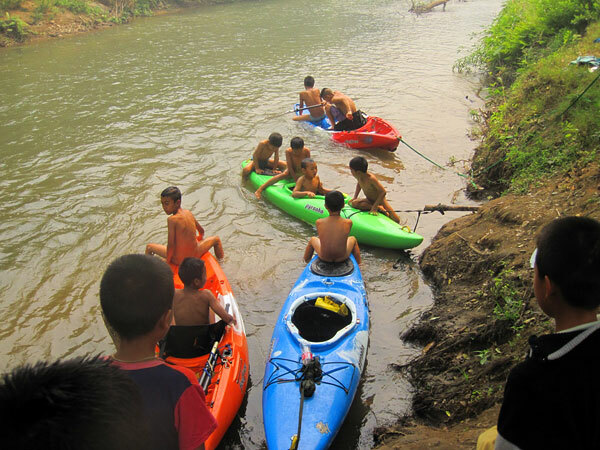 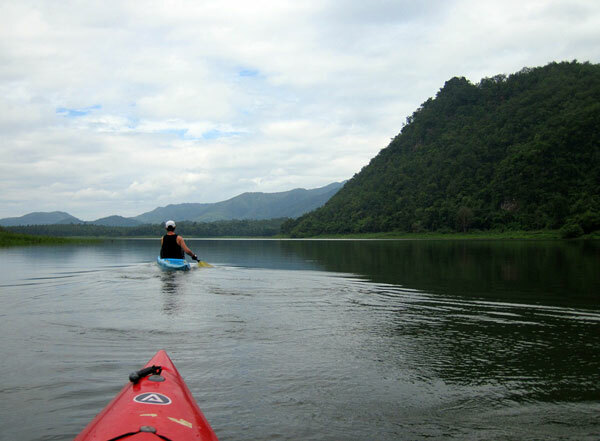 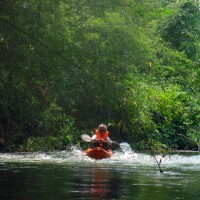 This trip suits all ability levels, and beginners can expect basic instructions in river kayaking.